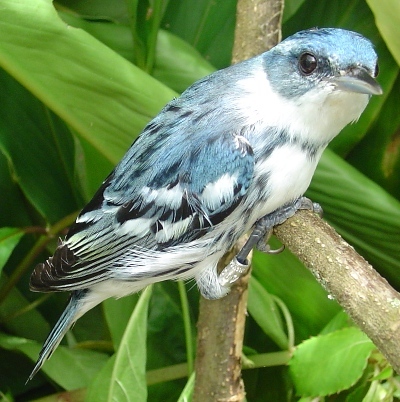 ProAves supports the Cerulean Warbler (Dendroica cerulea) in various ways. One avenue is through Grupo Cerúleo, which is developing a conservation strategy for the species on its non-breeding grounds. The Foundation participates through conservation and research in Colombia. 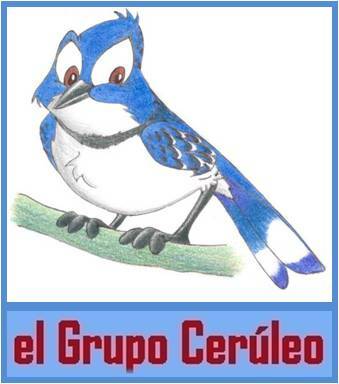 Grupo Cerúleo was formed in December 2002, to develop a conservation strategy for the Cerulean Warbler on its non-breeding grounds in Colombia, Venezuela, Ecuador, Peru, and Bolivia. Known as the Non-breeding Season Group, it is a subcommittee of the Cerulean Warbler Technical Group (CWTG), which promotes a multi-species focus on wintering ground habitat conservation, including at-risk species that may coincide with the Cerulean Warbler. The problems facing the species are related to the size and conditions of the non-breeding grounds and habitat changes on them. A solution is considered to be a priority for the future conservation of the species. Fundación ProAves is part of this initiative, offering support through species conservation and research in Colombia. American Bird Conservancy in collaboration with ProAves-Colombia, ECOAN – Peru and Jocotoco-Ecuador are leading the design of a draft version of a Cerulean Warbler Conservation Plan for this species in its wintering areas. Colombia will be hosting the 2008 Cerulean Warbler Technical Group meeting and members of the group visited San Vicente de Chucurí, Santander, where part of the meeting will be held.